The inaugural Japanese CDO Summit was held in Tokyo on Friday, July 14, 2017 at the Bellesalle Kudan in Chiyoda-ku, Tokyo. The event was sponsored by PwC Consulting LLC, Domo, Inc., and Information Services International-Dentsu, Ltd. The event was meticulously and masterfully curated by Jun Kamo, the founder and CEO of CDO Club Japan, and who is also CEO and Founder of CMO Worldwide Inc.
CDO Club Japan is a member of the CDO Club‘s global affiliate network, which includes CDO Club partners in Israel, Turkey, and Switzerland. 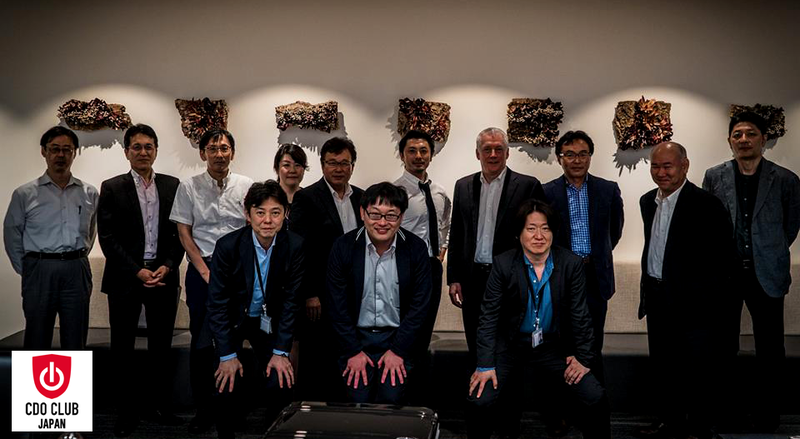 The theme for the Tokyo Summit was “Leaders Achieving Digital Transformation,” and the agenda featured numerous keynotes, three case studies, and a panel discussion led by Mr. Kamo. Mr. Kamo earned his Bachelor Science degree in Information Science from The University of Tokyo in 1984, and his Masters in Computer Science specializing in AI from the University of Illinois at Urbana–Champaign in 1996. From 1984-1999 Mr. Kamo was Director with Dentsu Inc. (now Dentsu Aegis Network), and as Chief Strategist from 1996-1999, he established their Digital Communications Lab at Dentsu USA. In 1999 he founded Harmonic Communications Inc. in Silicon Valley, CA., which was backed by Netscape founder Marc Andreessen, and Michael Moritz and Mark Kvamme from Sequoia Capital. From 1999-2003 he served as Vice President of the Asia Pacific region and President of the Japan office. From 2002-2004, he was Turnaround Management Director at Columbia Entertainment Inc., and from 2004-2007 he served as Director of Strategy Division at PwC Consulting. In 2015, he became an advisor to PwC Consulting. 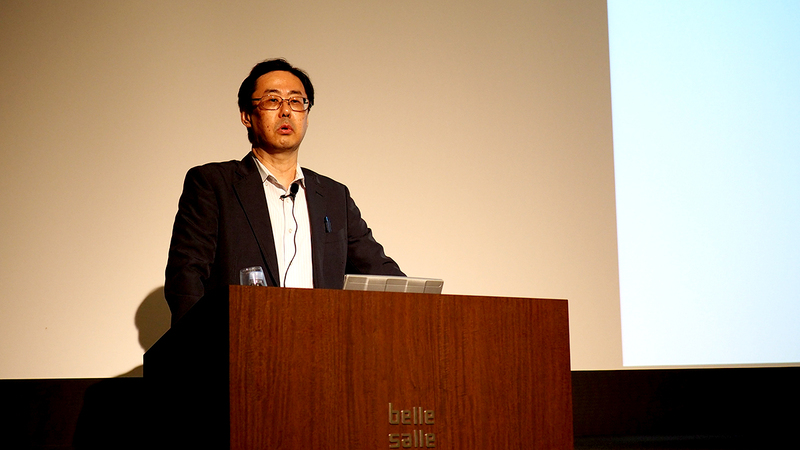 The program began with opening remarks from Dr. Taro Kamioka, CDO Club Japan Advisor, and Professor at the Graduate School of Hitotsubashi University. Dr. Kamioka was the President of International Academy of CIO Japan(2010-2011), the member and the Chairman of MIC, and the Chairman of MLIT. Kamioka-sensei first covered Chief Digital and Data Officers in 2012, which was years ahead of CDO appointments in Asia at the time. 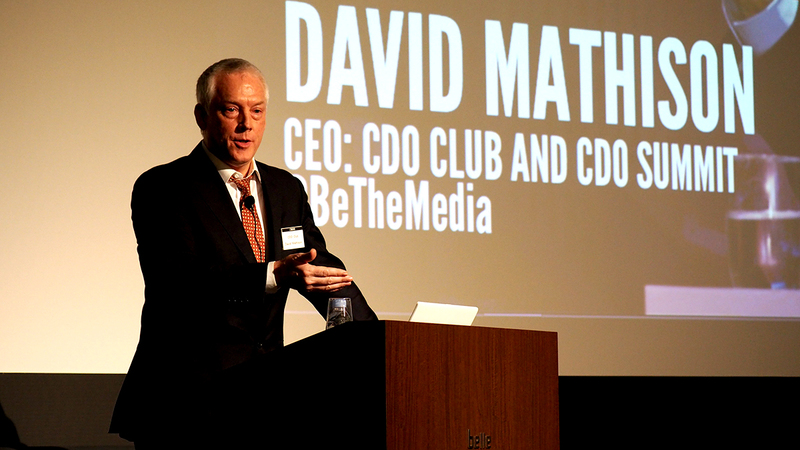 In 2015, he attended the NYC CDO Summit, where he met CDO Club founder David Mathison, and subsequently introduced Mr. Mathison to Jun Kamo. 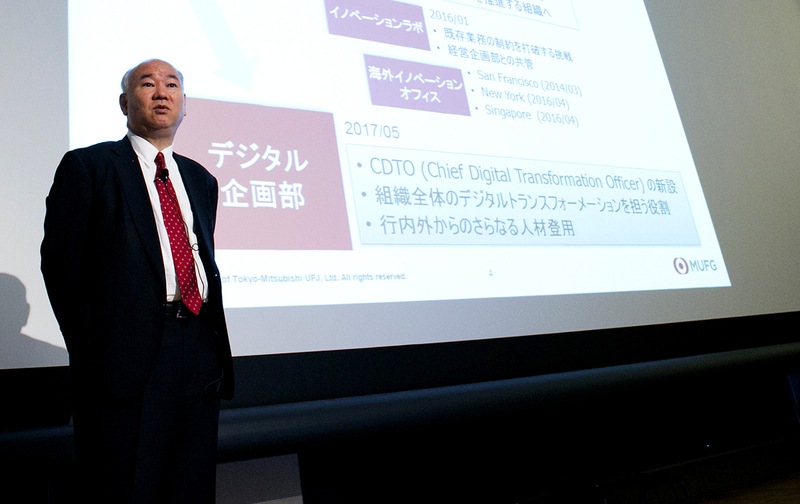 Dr. Kamioka presented on the importance of having the right leaders in charge of digital transformation, he described the importance of CDO collaboration across the C-suite – most notably with CMOs and CIOs – with an “accountability matrix” clearly delineating each executive’s roles and responsibilities, and explored the reasons behind the “delay” in Japanese companies adopting this new C-level title. Mr. Kamo then introduced the special guest, Mr. Yoshimasa Hayashi, Member of the House of Councilors. Mr. Hayashi was previously the Minister of Agriculture, Forestry and Fisheries; the Minister of State for Economic and Fiscal Policy; and the Minister of Defense. Mr. Hayashi’s presentation examined how to best collect and compile economic statistics for digital and data, and the importance of including these figures in key measures including Japan’s Gross Domestic Product (GDP). 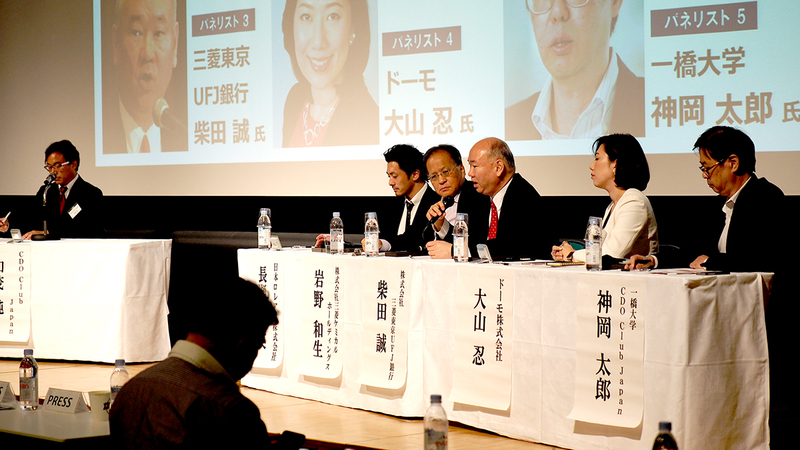 In 2016, the ruling Liberal Democratic Party formed a group, chaired by Mr. Hayashi, tasked with examining these broad economic trends, such as how to capture digital economic activity in official data, and the shift from tangible to intangible assets such as IP, trademarks, and copyrights. “We need to get the overall GDP numbers, including both consumption and business spending, a bit closer to reality,” said Hayashi. After graduating from the University of Tokyo, he worked for Mitsui & Co., LTD., before moving to the United States where he worked for US Senator William Roth and earned his Masters degree in Public Administration from the Kennedy School at Harvard University. In 1995, Mr. Hayashi won his first election, for the House of Councilors election in Yamaguchi Prefecture, and is now in his 4th term. In 2012, Mr. Hayashi ran for President of the Liberal Democratic Party. The CDO Club is the only organization tracking this “CDO to CEO” career path, and to date has identified over 100 CDO’s who have become CEO since 2011. Considering that the CDO title is just a little over ten years old, and there are only a few thousand CDO’s on earth, this is a startling statistic which speaks volumes about the need for digital and data leadership in all organizations today. 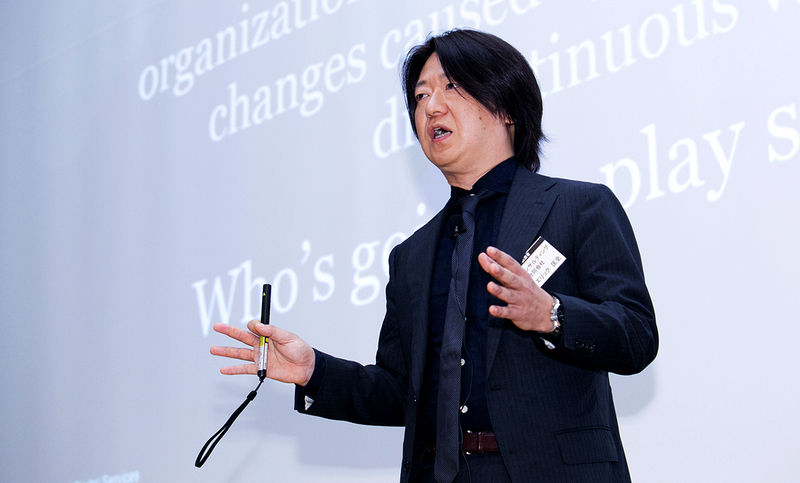 Mr. Matsunaga is a pioneer of strategic media consulting. He specializes in the future of media, including broadcast, music, movie, gaming, and advertisements. He is also a talented and unique guitarist with a degree from the Berkelee College of Music. Mr. Matsunaga explained how the rapid advance of ‘Digital Technologies’ such as IoT, AI, and Robotics are pushing companies’ digital transformation agendas like never before. He found that the most important thing for making digital transformation succeed is not just figuring out a good way to use technologies, but how to recruit and cultivate people who can capitalize on the disruption caused by digital technology, and who use these forces to create positive value. Mr. Matsunaga stressed the need for systemic changes in corporations and the C-suite so companies can achieve their digital transformation goals, and the importance of a leader such as a CDO to deliver those changes. Up next was Mr. Tsuguhide Nagase, Chief Digital Officer and Digital Country Manager at NIHON L’ORÉAL, keynoting on the first case study of the day called “The Role of the Chief Digital Officer and Required Talent“. 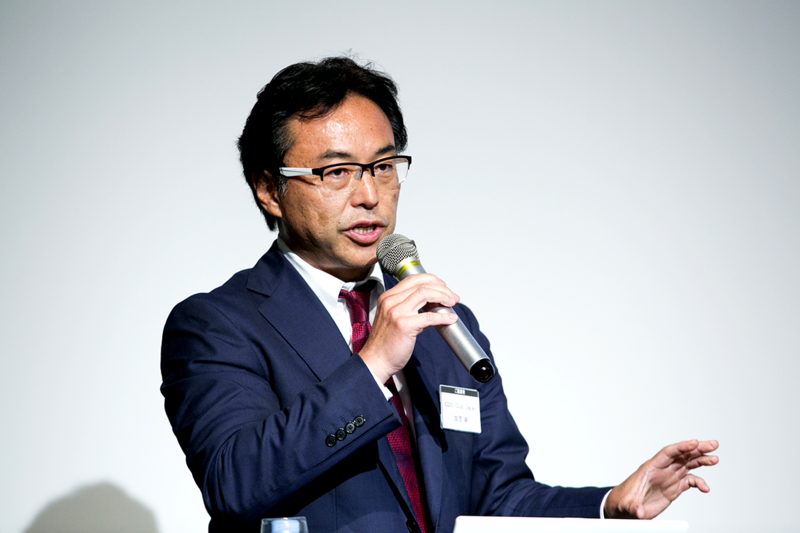 Mr. Nagase joined NIHON L’ORÉAL in 2015 as Chief Digital Officer and Executive Management Committee Member. Mr. Nagase has tremendous experience in launching and monetizing new services, rebuilding business in Asian markets, and planning brand strategy/new product development in various types of industries and business conditions. Prior to L’Oreal, Nagase-san worked for Instagram Japan as Director of Services in Japan, responsible for business, monetization, and platform. Before Instagram, he worked for Facebook as Brand Business Development/Client Partner. 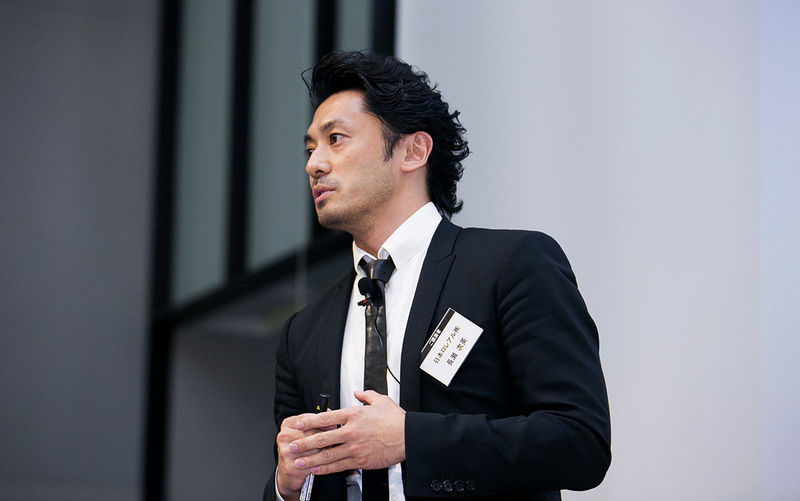 Mr. Nagase previously worked for industry heavyweights KDDI, JWT, Unilever Japan/Unilever Australia, and NuSkin, giving him a powerful mix of experience with both disruptors, and the disrupted. Dr. Iwano was appointed Chief Digital Officer at Mitsubishi Chemical Holdings Corporation in 2017. He was previously Chief of the Tokyo Research Laboratory and Director of Autonomic Computing at IBM’s Watson Research Center. 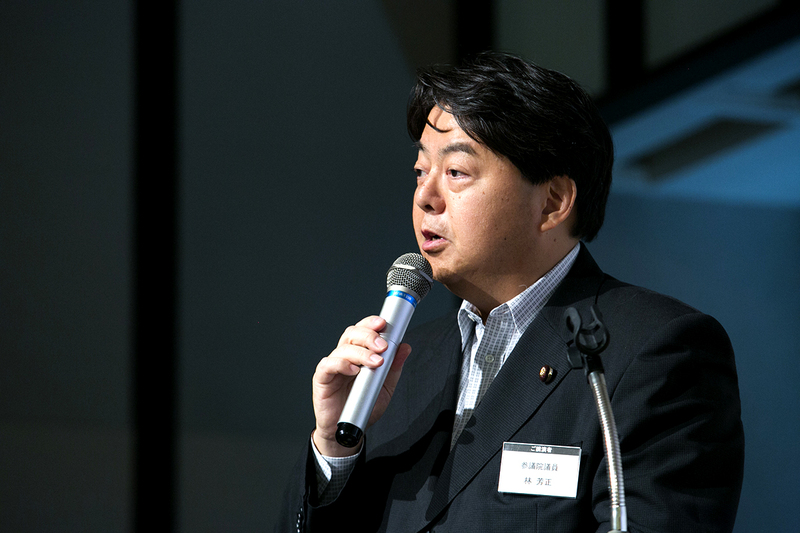 Since 2012, he has served as an Advisor of the Business Service division at the Mitsubishi Corporation, and Senior Fellow at the Japan Science and Technology Agency. 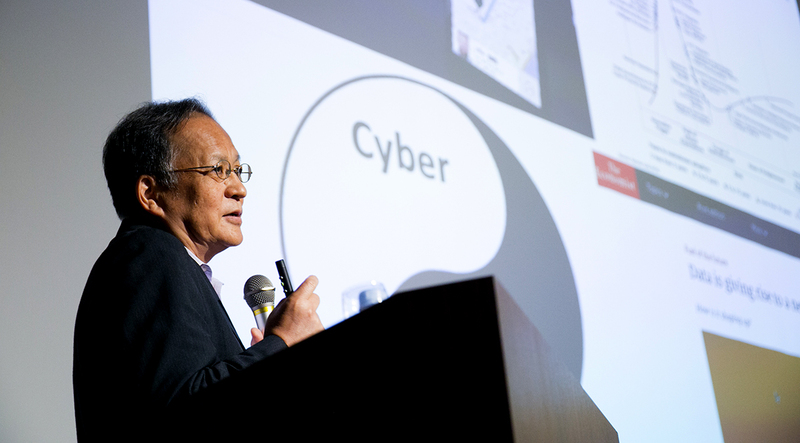 Mr. Iwano graduated from the University of Tokyo in 1975, specializing in Mathematical Science. He earned his Ph.D. in Computer Science from Princeton University, USA, in 1987. Mr. Iwano’s presentation was followed by Mr. Makoto Shibata, Principal Analyst, Digital Transformation Division at The Bank of Tokyo-Mitsubishi UFJ, Ltd. The first part of his presentation covered macro changes in the FinTech and financial worlds, and the second explored MUFG’s hiring of the new CDTO (Chief Digital Transformation Officer), his role and responsibilities, and the digital planning division overall. Mr. Shibata joined The Bank of Tokyo after graduating from the University of Tokyo in 1984. He earned his Masters in Development Studies from the University of Oxford. Since 1988, he has researched, studied, and developed new technologies and businesses related to FinTech, and has presented on the topic to Nikkei Inc., Bank of Japan, Japan Exchange Group, Inc., Gartner Japan, Ltd., among many others. 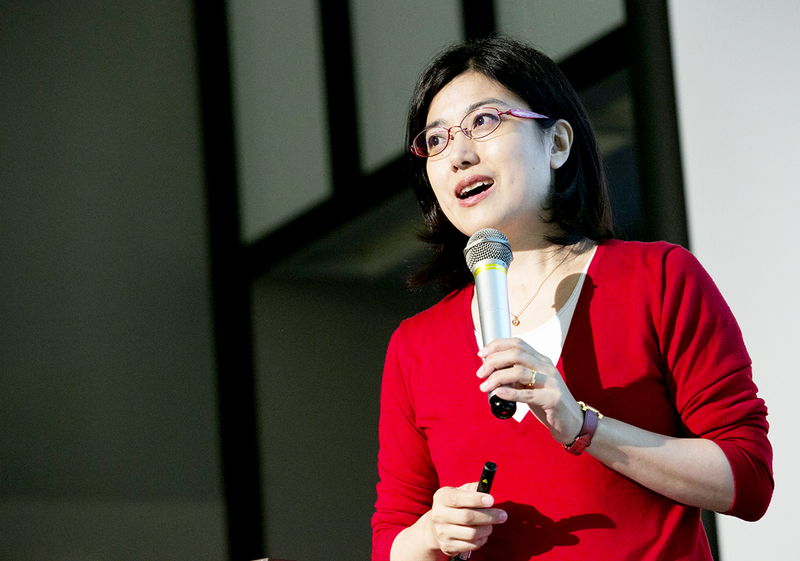 Following the Case Studies, Ms. Akiko Karaki, Partner at PwC Consulting LLC Strategy Consulting (Strategy&), delivered their most recent Research Report on CDOs. Ms. Karaki worked for a foreign investment bank as in-house lawyer in Tokyo and New York. Prior to that, she worked for McKinsey & Company, Inc.
She is an expert on CDOs who has led various consulting projects on new business and growth strategies related to product/marketing strategy with clients both domestic and foreign in sectors including retail, financial service, healthcare, and more. Ms. Karaki graduated from the Law Department of University of Tokyo, and earned her LL.M degree from Columbia Law School in New York. The day concluded with a panel led by Mr. Jun Kamo, CEO & Founder of CDO Club Japan. Mr. Makoto Shibata: Principal Analyst, Digital Transformation Division at The Bank of Tokyo-Mitsubishi UFJ, Ltd.
Ms. Shinobu Ohyama: Director, Client Service at Domo, Inc. 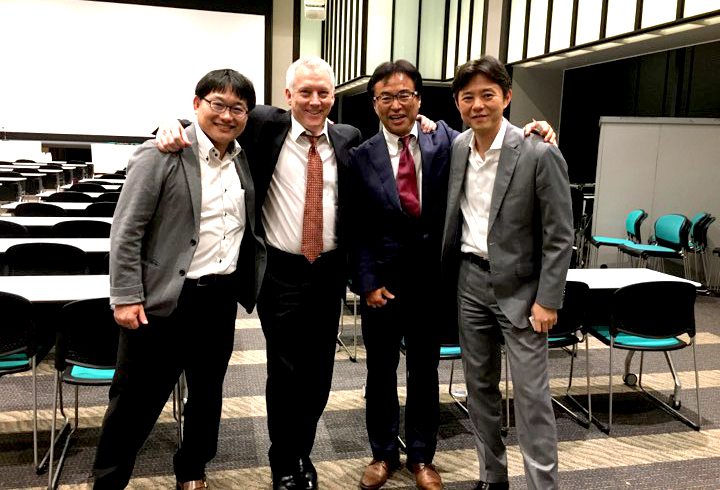 Thanks again to the sponsors (PwC, Domo, and Information Services International – Dentsu), and the organizers of this incredible inaugural program, especially Jun Kamo, CEO and Founder of CDO Club Japan, and his team!